Petteri Salomaa was born in Helsinki in 1961 into a musical family. He studied at the Sibelius Academy in Helsinki. In 1981 he won the national singing competition in Lappeenranta, and made his opera début in 1983 at the Finnish National Opera as Figaro. Salomaa's first international performances were in Haendel's Semele at the Ludwigsburg Festival and in Haendel's Ariodante at the Wexford Festival. Between 1986 and 1992 Salomaa performed leading roles at the Drottningholm Court Theatre in Sweden. From 1989-1991 he was engaged at the Städtische Bühnen in Freiburg, Germany. He has made appearances in Amsterdam, Geneva, Frankfurt, Dresden, Detroit, Oslo, Savonlinna, Théâtre du Châtelet in Paris, Royal Opera Covent Garden and Trieste, among others. His opera repertoire includes roles like Papageno, Guglielmo, Don Giovanni, Figaro by Mozart and by Rossini, Dandini, Marcello in La Bohème, Posa and Billy Budd. Salomaa is also a very active and versatile concert artist. He has appeared with major orchestras in such music centres as London, Berlin, Paris, San Francisco, Tel Aviv, Vienna and in Scandinavia. He has also made several appearances with lieder recitals. 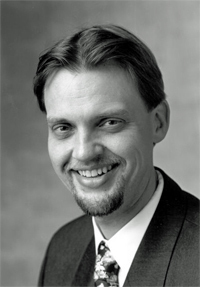 Petteri Salomaa currently holds the post of Professor of Singing at the Sibelius Academy in Helsinki.